Ella and I play in the shallow end of the water park. We pretend to be in a world where blue, green, and red bears roam with white, brown, and black bears. With mock fear we run from all of them. Ella has told me blue bears eat grass and red bears eat cake, although it could be the other way around. She remembers. I don’t. Her six-year-old imagination enlivens me. But when another little girl enters the water with her grandmother I step out of the way and give the children a chance to meet. The other girl hugs toys to her small chest. Ella notices. “Toys,” she says softly. The other girl, obviously several years younger, sits in the water next to Ella. She hands her two of her treasures. While the children play we grandmothers chat. 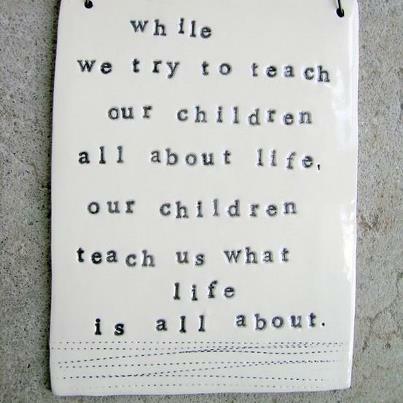 I celebrate the moment and watch the kids’ stages of interaction, sometimes distant, sometimes close. Never expected. The girl’s grandfather enters the water. The little girl goes to him and I carry Ella through the oval channel of the Lazy River. Ella points to the little girl and calls her, sister. I feel blessed by my granddaughter’s simple love. Another woman in the channel comments on the beauty of Ella’s large blue eyes. They relay the honesty of her spirit. Down syndrome limits her body; it does not limit her being. After Ella and I are dressed and ready to leave, the little girl’s family is in the lobby of the Y. The little girl wants Ella to come to her house. A precious, yet unrealistic request. Ella’s mommy will be picking her up in less than two hours. I see again the gift of Ella when Mommy and Ella are seated on the floor in our living room. I wish I had a camera ready as our granddaughter leans into her. Ella lets her light shine. Our little girl reaches out to soothe and comfort Mommy, as if she knows she had a long work day. My world gets complicated even if I don’t work an official eight-hour day. I plan more for one twenty-four-hour period than a planet-toting Atlas would. Then life comes along and adds more. I need to spend time with Ella, choose love first, and then realign my priorities. No, Ella isn’t an angel. She is human and has her stubborn moments just like everyone else does. But, she doesn’t live in a funk, and she doesn’t hold grudges. For her each moment is what it is, no more, no less. An incredible opportunity simply to be. I suspect that since I read too much into situations, I have more handicaps than she does. Thanks for the fun day, Ella. Halloween. And I offer to stay at my son Steve’s house to wash dishes. But his girlfriend Cece says, “Let’s all go. I will wash the dishes when we get back. Then you relax and play with Ella.” Cece doesn’t want me to miss out on the fun. And fun is only the beginning. “Candy. Look. More candy,” Ella exclaims after she has stopped at only a few houses. Her costume is inexpensive and hand-wash-only fragile, the kid-popular, Doc McStuffins. However, Ella’s sweet smile brings her extra treats at several stops. At first she approaches each house with her bag behind her back. Then she eagerly opens it with an excited “trick-or-treat.” Her cautious move has become a run. The neighborhood knows how to celebrate. Groups gather outside with bonfires, cackling witches, lit pumpkins. Kids fill the streets. Two children are in wheel chairs. I pause to say Happy Halloween, but don’t linger for conversation. Tonight is the time for action. “Look,” Ella says to passers-by. She opens her bag and displays her treasures with pride. No one chides her or mentions that she has special needs. At one house an empty chair blocks the sidewalk, but the front door is open. Ella runs toward the golden-glow space inside the house. The empty chair signals my intuition. I decide to follow her. An elderly man answers. “Oh dear,” he says. Apparently his wife, who should be holding down the fort, has left with the treats. Instead of responding with disappointment or anger Ella reaches into her bag and pulls out a box of candy. The man doesn’t understand at first. Then he realizes that Ella is sharing from her bounty. His wife arrives and gives Ella a few extra pieces. Our little girl grins. Wearing her gratitude on her face. As Ella descends the stairs toward Daddy, Cece, and Grandpa I tell the couple that our granddaughter with Down syndrome has had two open heart surgeries. She is resilient. Her open heart touches anyone who will recognize her gift. The man has tears in his eyes. He did not accept Ella’s candy. He did receive her touch of love. And all Ella needed to do was to be Ella. And I am grateful to Cece, too. Sure, I would have been happy to stay back at Daddy’s house, wash dishes and hand out candy. Instead I have the privilege of watching beauty in action. The plates and utensils wait until we came back. Ella does not fuss when Daddy does not allow her to have all of her bounty at once. She savors each bite. I hope to learn how to savor each moment, too. Ordinarily when Jay and I pick up Ella from school he drives and I sit in the back with our granddaughter. I monitor snacks, play games, or read books with her. Today I am at the helm of my ’97 Toyota. Ella repeats, “Grandma’s car.” She wants to know where Grandpa is. “He went to the doctor. He will be home later,” I tell her. But I can’t see her face in the rear-view mirror. My mindset is in sync with her older cousins. They think that a hypodermic needle is to be avoided at all costs. But since Grandpa is a grownup, he would be just fine. I assume Ella’s viewpoint to be similar. There is silence in the back seat, followed by, “Grandpa be okay. I be okay.” Ella’s sweet voice cuts through me as the chorus repeats. The drive from Ella’s school to our house is just over ten miles. I feel as if I am driving cross-country. Text Grandpa as soon as you get in the door, Ter. Tell him to call so that Ella can hear his voice. On the outside I would appear calm. The car remains on the road. I stay within the speed limit. Inside I chide myself for a stupid mistake. Ella has had two open-heart surgeries and one minor surgery on her wrist. The word doctor opens a Pandora’s Box. She does not want her grandfather to fall prey to its powers. Fortunately Grandpa hears the beep on his phone. He is leaving the office. “Grandpa be okay” takes on a new tone as Ella hears his voice. “Let’s hide,” she says, anticipating hide-and-seek when Grandpa returns. Our little girl has no sense of time. Jay will not be home for another twenty-five minutes. I hold her in my arms and look into her huge blue eyes, possible now since I am not behind the wheel of the car and she is not bound to her car seat. Sure, I will play this mock-game with her. The hiding place she chooses is in plain sight. And so is our little girl’s incredible beauty. Her internal powers shine: the gifts to love unconditionally, to simply be without comparing herself to anyone, and to bounce back after every fall. I suspect there are people who look at us as we go to a park or enter a restaurant and think, How sad! That little girl has Down syndrome. Or worse, they identify her as a tripled chromosome and call her a Down syndrome child, throw around an R-word or two, and dismiss her importance. I can’t change that notion on my own. But I can make a dent in that perception. Organizations like the National Down Syndrome Society and our local group, The Down Syndrome Association of Greater Cincinnati, help to crush myths and show how valuable each individual is. Success for many more persons with Trisomy-21 is possible, even inevitable. Yes, the child born with the genius IQ someday may create formulas, ideas, new drugs, and inventions that change the world. But the child born with an extra chromosome has the knack for changing the heart. Now. 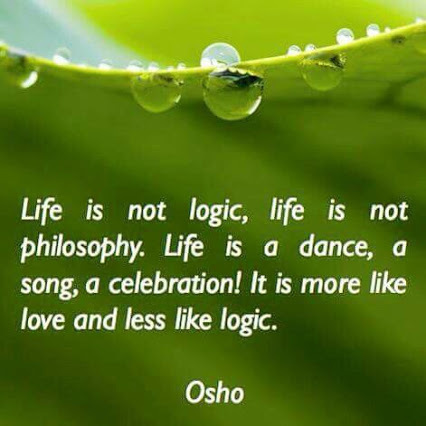 Ella may not be able to express Osho’s quote pictured below in words. However, she lives it. I am fortunate to be her student.